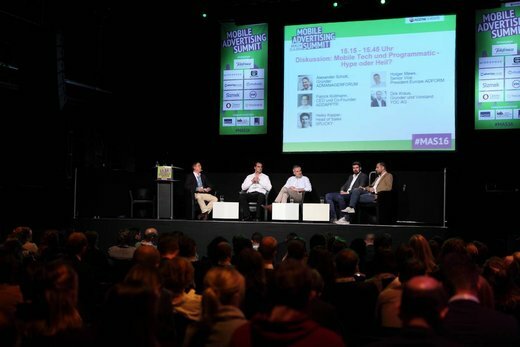 Just recently we’ve been to the Adzine – Mobile Ad Summit in Berlin. It’s been a pleasure to meet all Mobilistas & Tech-Suppliers from all over Germany, as well as media planners from top agencies and advertisers. As Mobile Advertising has been a big BuzzWord for the last years, the event helped to understand the current situation in Mobile Advertising, and furthermore educated attendees on how to create good campaigns. Mobile Programmatic on the rise? Splicky was invited to take part on a panel discussion about the state of Mobile Programmatic in Germany. All participants have seen a tremendous increase of campaigns processed via programmatic mobile over the last two years. Furthermore it was mentioned that Native Advertising and especially Mobile Video will drive the mobile ad market in the near future, especially on programmatic. However some market standards need to be implemented on the way. To sum it up, from our point of view it has been a very good event. However, we would love to see more advertisers coming to events like this to discuss about Mobile Advertising and its effect on their business. Thank you @Adzine for inviting us to the panel, it has been a pleasure.